I have never in all my experience as a Richard Armitage fangirl (yes, I’m a girl dammit :D) seen fangirling taken to such extremes, and the euphoria is spreading into all areas. Our own Janine Pineo being her usual interesting self and actually making me take an interest in gardening! has done a Q&A with Anna about her beloved New Zealand. I wanna go to New Zealand! And I’ll even swear to grow some plants. 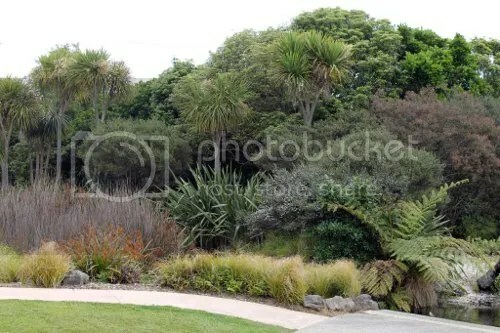 Back in August, this thought popped into my head: Wouldn’t it be cool to feature plants from New Zealand in The Daily Plant when ‘The Hobbit’ premieres? Then I went back to picking vegetables or making pickles or whatever bit of garden fun I was doing at the time. Which, if you know your Tolkien, is a fairly Hobbity pastime. But the idea didn’t fade away. Instead, the little seed that was planted lay dormant for a bit. It sprouted about the time I met Anna Paton in the land of the Internet, where we were talking about all things Hobbit and many things not. Anna, you see, is a Kiwi. @RAFrenzy I AM NOW CONVINCED RICHARD ARMITAGE WROTE THE DAMN LETTER. Look at the look on his face here. pic.twitter.com/557TmEwT He's a stinker. Meanwhile legions of fans are “love bombing” RA’s charities. So I’m wondering how Richard Armitage Addiction is affecting others. Like, oh say, buying a Thorin Pez dispenser? Eagle Eyed Editor said she saw one. I don’t think she’s quite worked into a frenzy yet (give her time), so she didn’t buy one, and if you did, I won’t hold it against you if you don’t admit it. LOL! For me the euphoric state has untold effect although this blog should be some clue. But two things make it abundantly clear at the moment: 1) I’m considering gardening, which means something has obliterated my usual enmity with plants. Oh, it’s not that I don’t like to look at them, but we keep our distance from each other. 2) I’m going to NYC in December. I really need to have my head examined on that one. Airport shot courtesy of bccmee’s tumblr. 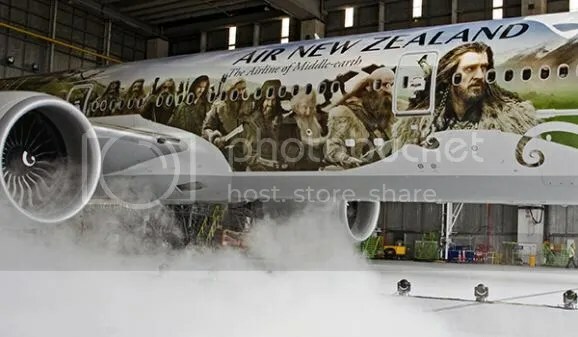 Plane shot courtesy of Air New Zealand. Thanks for the mention. I really want to do something with all this euphoria! Maybe I’ll give all my students an A for the term or something. 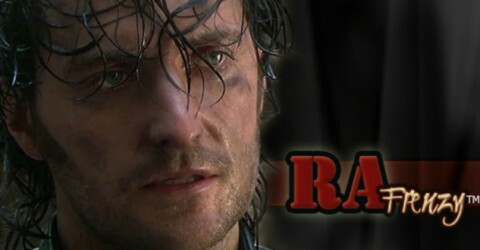 What are YOU doing to celebrate Richard Armitage Frenzy? Thanks, Frenz! I like incorporating the madness into the real world. Obviously. And now everyone can say they are really educating themselves, too. Frenz, one small correction….I only saw the Lord of the Rings cast as PEZ dispensers. No RA and others from The Hobbit, not yet. But given PEZ’s love of pop culture and collectibles, I think we might see RA as a PEZ someday. That could be fun. We could all have a little Richard to keep with us at all times. I wonder what our hero would think about being a PEZ dispenser? Bet you he’d either roll his eyes or have a witty remark. Or both. I have been smoking my credit cards with some of The Hobbit swag–mugs, books, mags, Thorin Key pen and 3D bookmark, and a cardboard cut-out Thorin. If I could only win the Thorin wielding Orcrist Weta figure, then I would stick him right next to my Royal Doulton figure of a young girl in my piano room’s display case of my “precious” family heirlooms. I’m sure my grandmother would twirl in her grave about that one–it was her gilt finish, marble, and glass display case. Ha! I’m feeling the excitement. And I’m going to but the first magazine I see with him on the cover! I’ve refrained from buying anything fangirly as of yet, mainly because I’m a dyed-in-the-wool skinflint. But I feel the wave of temptation coming on. Whooping and squeezing in public is not mg thing but I think I may need restraining when I go the theater (which I rarely do) to see a film I had no interest in two years ago (haven’t seen any of the other parts of the trilogy). It’s just phenomenal to witness RA transform into a star! He’s going to turn heads at all the premieres. Hilarious. This thing is out of control. Yes, I’ve decided he wrote the damn letter. And I see one more of you making that damn Spanish magazine photo your Twitter avatar …………………. Ok, I’ll admit it. I finally bought the Thorin Oakenshield action figure. But only after my husband leaned over and whispered in my ear, “Go on, buy it. You know you want it.” It’s his fault. And don’t you dare tell Heidi. She will never let me live it down. If it makes you feel any better, Sam and Felicia bought one FOR ME at Toys R Us this weekend as an unexpected surprise gift! HAHA! The 3 of us are doing girls’ night out in Louisville on the 15th — first seeing Hobbit in 3D on IMAX and then hunting Mr. Darcys. Now we all have our own Mini Thorins to take along for the ride. Those girls knew I’d never do it myself. I love them. They rock! Wait, wait, wait, wait, wait. WAIT. WHO IS THE CHICK IN THE MIDDLE OF THAT PHOTOGRAPH? Nobody has identified her yet. She is so calm and happy. She is not convulsing or fainting or throwing a fit. We have discovered an alien from another planet. No woman would be that cool under such pressure. Call NASA, stat. Thank you, that is all. Ha, I’m glad you’ve got your Thorin, Heidi. Mine is still in his original packaging. Not going to open it. My guess, that woman works wherever they are visiting. Lucky woman whoever she is. I know I’ll buy the Hobbit lego people, but I’m tempted by the cardboard cutout of Thorin…. Which amazes me. I am so NOT a collector of things that need to be dusted. I am soooo excited about the movie (have my tickets for 48 frames per second/3D) for the 14th! Yee-haw! I love Heidi’s comment about who is in the middle of the photograph!